To see some of my previous Dollar Tree table setting inspirations (for Halloween and Thanksgiving), click here. More to come! Always wanting more time with my 15-year-old daughter these days, I just ask her if she wants to go to the Dollar Tree store and she lights up! Seriously!! She absolutely helped with some of these selections…we had such a ball. Benjamin Franklin famously said, “A penny saved is a penny earned”. Hang on to those pennies because entertaining does not need to be expensive. To get started, always set the placemats (aren’t these just fantastic?!) first so you will know right away how much space you will have for the centerpiece. Next, assemble the centerpiece with the Glass Cylinder Vases, 9 in. , the ornaments and the large candy canes. They really add great drama to the table! Wouldn’t they be so fun to use in other Christmas decorating applications?! To assemble the rest, place the white plates and the green glasses on the table. While browsing the isles of the store, I stumbled onto these adorable jingle bell bracelets and thought they would be great to use as napkin rings. So cute! All there is left to do is layer in the candy canes (the kiddos will love this! ), extra ornaments and votive holders. I flipped over the large, bearded Santa ornaments especially. To finish everything off, the Santa chair covers really take it all over the top. 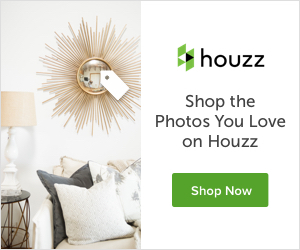 So excited about them…especially since they are only $1!! Quick tip…if you want to buy them online, you have to buy a minimum of 48, so it would probably be best to just buy them in the store. Ways to reuse, recycle and re-purpose ALL of these items. Reuse all of the ornaments on your trees, wreaths or other Christmas decor for your home. Place the remaining napkins in your powder bathroom for guests to use during the holidays. Re-purpose the white plates and green glasses for future table settings. There are so many great uses for them for sure! Wear the jingle bell bracelets to your next “Ugly Christmas Sweater” party! He he!! Pass out the candy canes to your neighbor’s kids when they stop by. Save the adorable Santa chair covers for next year!! To see some of my previous Dollar Tree inspirations, Click here. 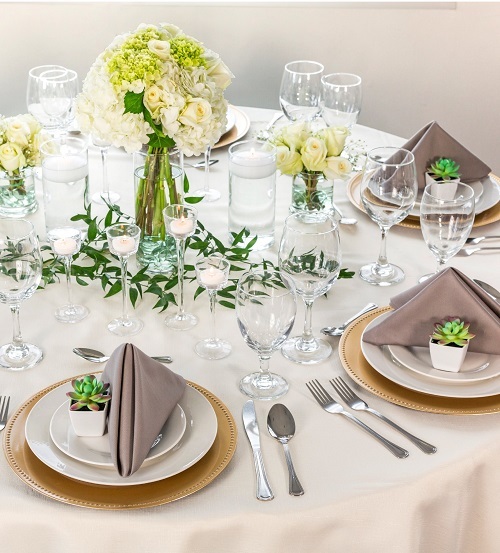 Hopefully, this post has helped convince you that great table settings do not have to be expensive! 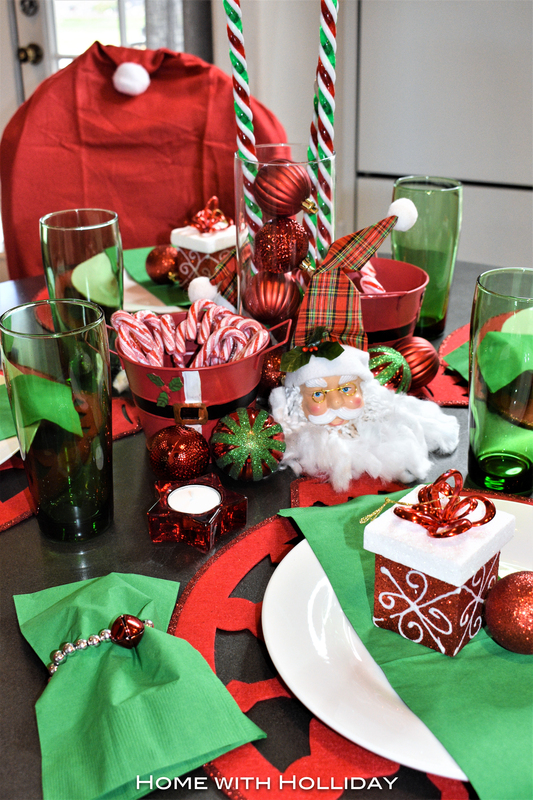 This table setting below is another great example of a table that has been created only with products bought at the Dollar Tree (HWH maintains an affiliate marketing relationship with Dollar Tree). Watch this video for more ideas…Customer Favorites Video: 9″ Glass Cylinder Vases. Please consider subscribing to my blog to receive instant notifications (free!) of new posts.